The trailer for Quentin Tarantino’s Once Upon A Time In… Hollywood just dropped. As the title suggests, the renowned writer and director’s ninth film is about Hollywood, and he’s got a star-studded cast to prove it. Starring Leonardo DiCaprio, Brad Pitt and Margot Robbie, as well as Al Pacino, Timothy Olyphant, Burt Reynolds, Scoot McNairy, Damian Lewis, Luke Perry, and Dakota Fanning, among others, the film tells the story of actor Rick Dalton (DiCaprio), who’s trying to find his place in Hollywood alongside his stunt double Cliff Booth (Pitt). The trailer opens with a black and white shot of Dalton and Booth being interviewed about their jobs, with the stunt double satirically describing his duties as ‘carrying [Dalton’s] load’. We’re treated to a whirlwind of quick glimpses at the film, though the trailer doesn’t really offer many details about the plot. 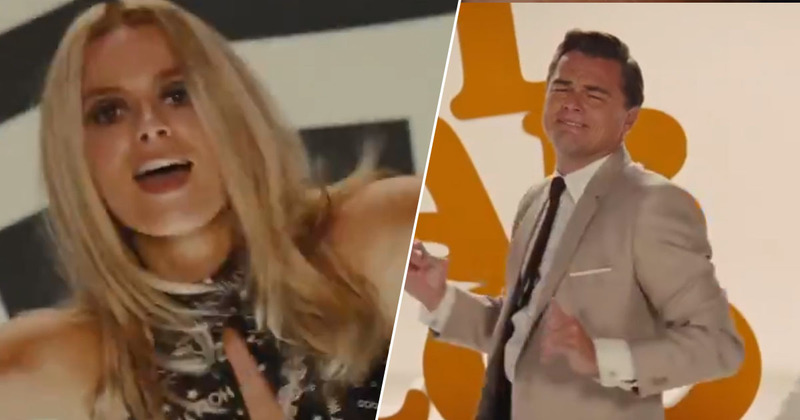 As DiCaprio explains, the film is set in 1969, the year the glitzy, glamorous world was spattered with violence as actor Sharon Tate was famously murdered by members of Charlie Manson’s cult, while pregnant with filmmaker Roman Polanski’s child. Though the trailer doesn’t emphasise it, in the film Dalton and Booth just so happen to live next door to Tate (Robbie), so I’m sure they’ll find themselves involved with the violent situation in some capacity. However, rather than focusing solely on the more murderous storyline, Tarantino’s movie explores what Hollywood was like in the late 60s. According to the Independent, the director explained how the film has been in the works for a long time. I’m very excited to tell this story of an LA and a Hollywood that doesn’t exist anymore. The film won’t be hitting the big screens until summer, so there’s still a couple of months to go before we see exactly what Dalton and Booth get up to, but I’m sure it will be worth the wait! Once Upon A Time In… Hollywood is set to be released in the US on July 26, 2019, and in the UK on August 14, 2019.